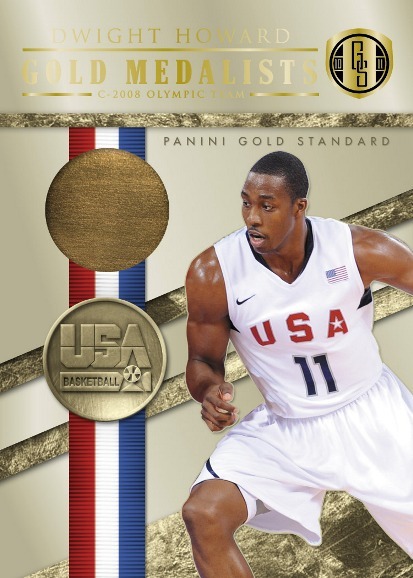 All About Sports Cards: Two upcoming Panini releases that will make collector's very happy. 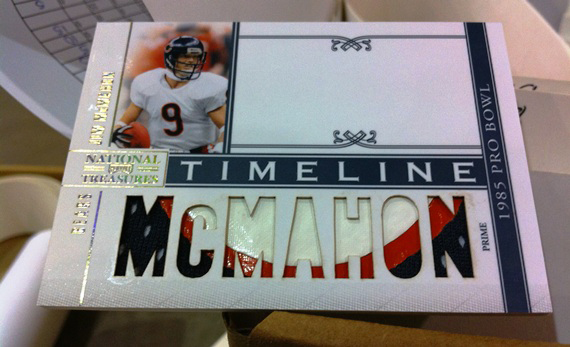 Two upcoming Panini releases that will make collector's very happy. 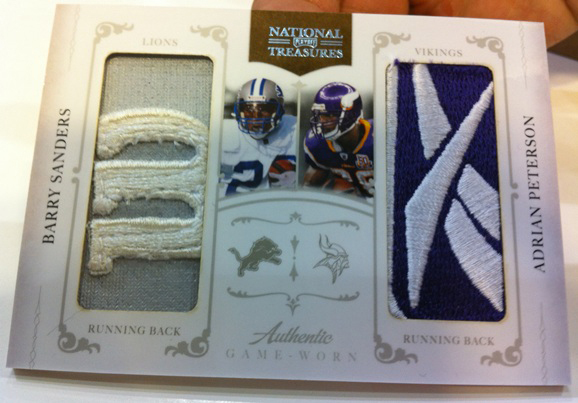 Panini has two releases that are soon to go live and there are going to be some very happy collector's out there. 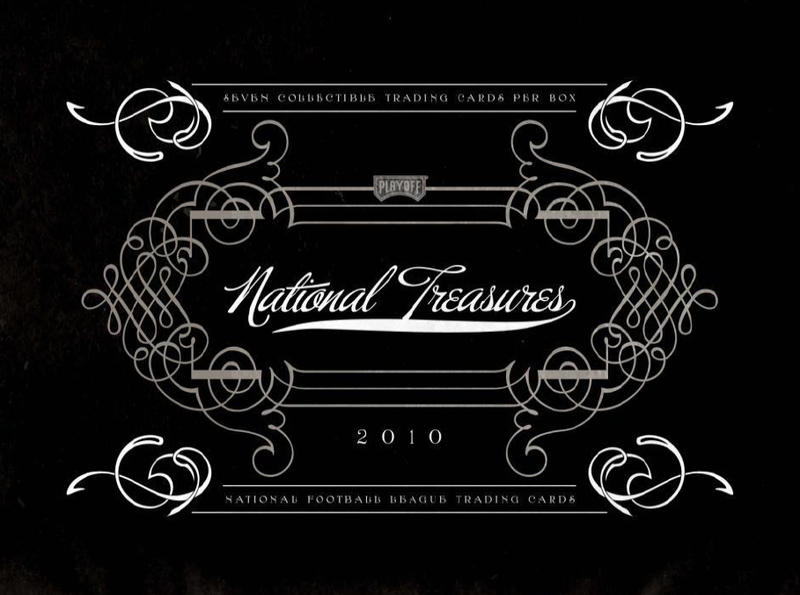 We are talking about 2010 Nationla Treasures Football, which we covered briefly in a previous post, and a brand new release called Panini Gold Standard Basketball. First lets look at some images of National Treasures which is releasing at the end of the month. Now these are still "in production" cards so they are not complete, but look at those materials and designs. Are they game worn? How about game worn out and through. Field dirt anyone? This is what you want to see from a piece of jersey. You can imagine the tackles these endured. Sweet!!! For more on these cards and a great video go to The Knight's Lance using this link. 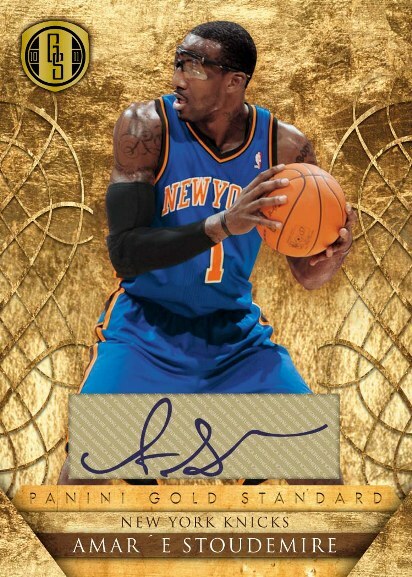 Now for photos from 2010-11 Panini Gold Standard Basketball. How about Basketball's hottest play on a card right now. Or great autos and jersey autos. Or try actual gold on card. 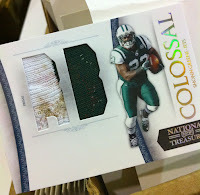 Panini Gold Standard will bridge the gap between Timeless Treasures and National Treasures. Taking a page out of Charlie and the Chocolate Factory, these cards will include 5 golden tickets with prizes like a face-to-face meeting with Kobe Bryant. 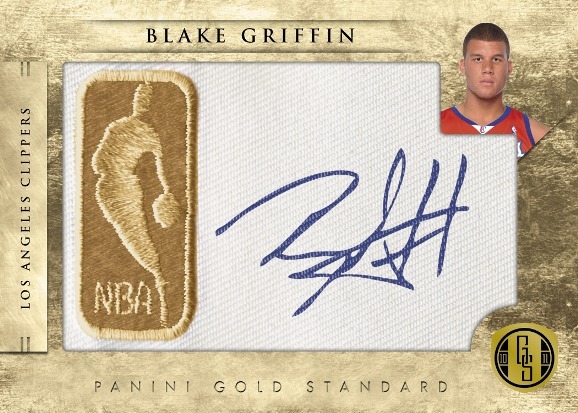 As you can see from the Blake Griffin car, there will be Gold Logoman Autos, Gold Rush cards that include real 14-karat gold. 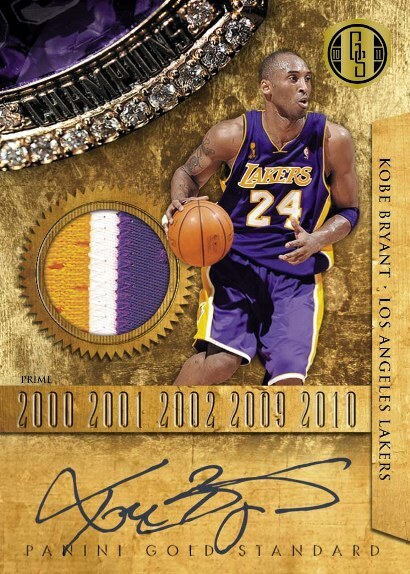 Autograph combos like Magic Johnson and Larry Bird, Boll Russell and Jerry West, Elgin Baylor and Oscar Robertson, Kareem Abdul-Jabbar and Bill Walton, Kobe Bryant and Kevin Durant. To find out more about this release, follow this link. 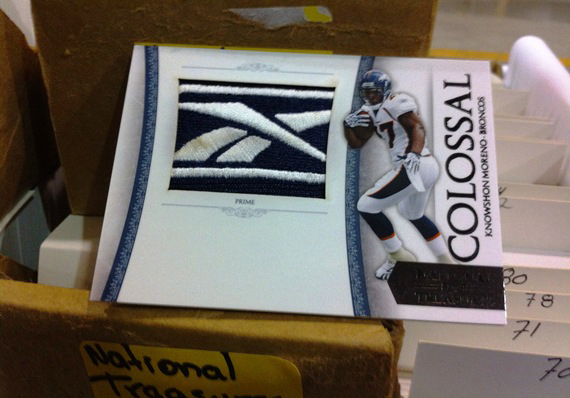 It upsets me that they charge $400 for an 8 card box and then use sticker autos.